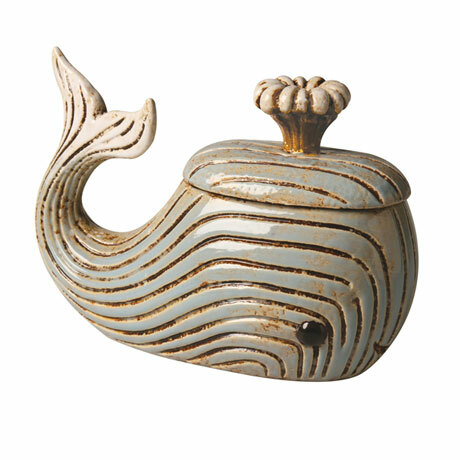 The details are delightful, from the soft blue glaze to the rhythmic scoring and the spout that doubles as a handle. 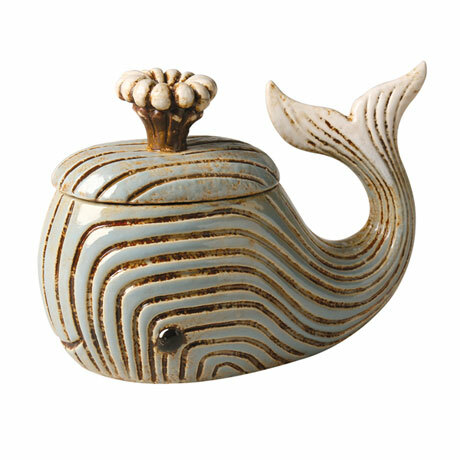 And it's small, for a whale, so you can sit it on a shelf or counter. You might use it for cotton balls or candies. 9" long, 6" high.